This spring I returned to teaching Roehampton’s third-year Classics and Cinema module. It was to teach this that I’d first come to Roehampton, though after a couple of presentations I’d been lured away by the prospect of teaching an MRes Theories and Methods module. I inherited this module from the much-missed Rosemary Barrow, at quite short notice. So I was very much tied into Rosemary’s structure and her choice of movies, though, of course, I taught those in my own style. As an art historian, Rosemary had been particularly interested in links between painting and cinema; as someone who’s taught film history, I’m interested in placing movies in their wider cinematic context. This year, I had more of a lead-in, and so could make the module much more my own. This didn’t mean tearing it down and building it up again from scratch. There was much I wanted to keep from my previous versions, and I could also draw upon what had been done by my colleagues Marta Garcia-Morcíllo and Anastasia Bakogianni, who’d taught it in the intervening years. The division between a first half that dealt with Roman movies and a second half that dealt with Greece seemed to work, so I retained that. I also kept an overt focus on a type of movie. 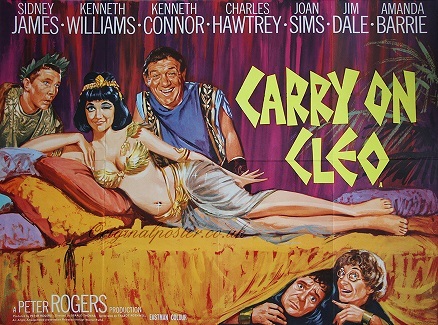 I’d always used each movie as not only something to be talked about in its own right, but also as an exemplum of a genre as a whole, so Carry On Cleo could act as a way to talk more generally about comedies set in the Roman world, such as A Funny Thing Happened On The Way To The Forum and Life of Brian. Pairing movies emphasised that generic link. Of course, I can’t cover everything in a single semester, and some subjects had to be dropped or compressed. I’d originally planned to deliver two classes on Hollywood Roman epic, one for the 1950s/1960s, and one for Gladiator and other post-2000 examples. But I also wanted to find space for sessions on recent Hadrian’s Wall movies, tying into my current research project on movies about Roman Britain, and on cinematic representations of Shakespeare’s Roman plays, as I feel they get neglected in Classics and Cinema modules and textbooks. So epic was collapsed into a single class, covering the 1959 Ben-Hur and Gladiator. Some movies can’t be dropped. It would be hard for any such module to leave out Gladiator and 300. On the other hand, there are movies that students probably wish you would drop. 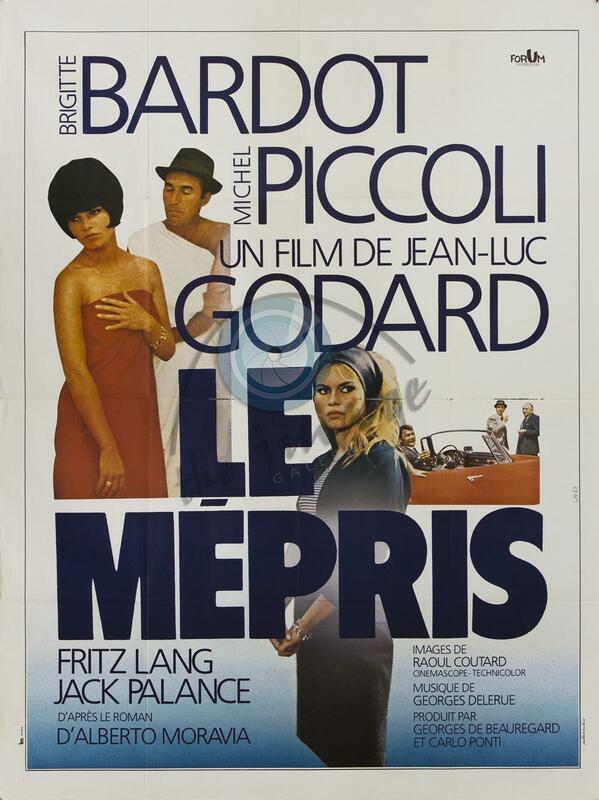 I always find them resistant to European art movies such as Fellini-Satyricon or Pasolini’s Medea. But early in 2016, I went to a Classics and Cinema day at Warwick where Jo Paul thanked Elena Theodorakopoulos for making her and her fellow undergraduates watch Fellini, because though they didn’t appreciate it at the time, in retrospect it was valuable. ‘Right,’ I remember thinking, ‘when I next teach Classics and Cinema, I am going to make them watch difficult European movies, for the student who will thank me in fifteen years’ time.’ True, I dropped Medea in favour of Cacoyannis’ Trojan Women, but that’s because I feel it’s a better example of Greek tragedy on the screen. And I now set Godard’s glorious Le Mépris, paired with O Brother Where Art Thou? as receptions of the Odyssey. For assessment, I borrowed an idea from a course I taught for the University of Notre Dame, on London in the Literature of the Fantastic, where I asked students to write an essay to their own title on a text of their choice. Originally, this could be a set text or, with my agreement, another text that lay within the course parameters. But I realised that, as the exam was on the set texts, I was penalizing students who chose something else, as they would be less familiar with the set texts when the exam came round. So I banned students from using a set text. They rose to the challenge, and I got the best essays I’d had on that course up to that point. 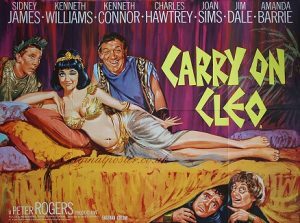 So I decided to try the same thing with the cinema students for their essay on a Roman movie – after all, there’s a wealth of movies for them to choose beyond the ten I’d featured in class. And again, it worked. It’s a bit more work for the lecturer, as there needs to be up-front guidance and helping students with ideas and bibliography, and making sure you’ve seen the movies the students are going to write about! But I got a pretty high standard of results, with more distinctions that I’d expected to give out. The whole thing isn’t perfect, and there will be refinements I will implement next year. But I enjoyed this, and I think the students did as well. Tony Keen is a Lecturer in Classical Civilisation at the University of Roehampton, where he teaches classical reception, mythology and ancient history. From 2000 to 2017 he was an Associate Lecturer at the Open University, including teaching Film and Television History. He started writing about reception in the early 2000s, when he combined his interests in science fiction and the Classical world. His most recent publication is a chapter on the reception of Greco-Roman myth in science fiction, appearing in A Handbook to the Reception of Classical Mythology, published by Wiley in May 2017. This entry was posted in Film&TV. Bookmark the permalink.